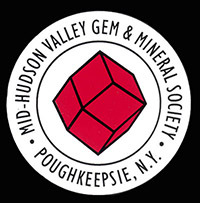 Mid-Hudson Valley Gem & Mineral Society, Inc. The "Rock Bonkers" are a group of members who are interested in going into the field and collecting from various sites. Below is a partial list of sites we have visited. Please be aware that some of these sites have since been closed or access restricted, so please check before entering a site. We are also constantly looking for new sites. If you know of some, please contact us! General rules and recommendations for field collecting can be found here. The field trip rules, regulations, and release of liability form, which will be signed by all participants on a field trip prior to collecting, can be found here.